While summer may not have officially kicked in just yet, it’s been extremely hot and humid already in Manila with the temperature peaking at 33 degrees Celsius by midday. With just a few weeks before we formally usher in the dry summer season, now is the perfect time to plan how you and your family and friends will make good use of the outdoors and the typhoon-free weather. While the beaches are a popular choice for summer getaways, more and more people are taking interest in discovering the greeneries of the lush mountain ranges in the Philippines. One excellent place to peel off your adventurous self is the Masungi Georeserve in Baras, Rizal - a conservation area that’s just approximately a 2-hour drive away from Manila. 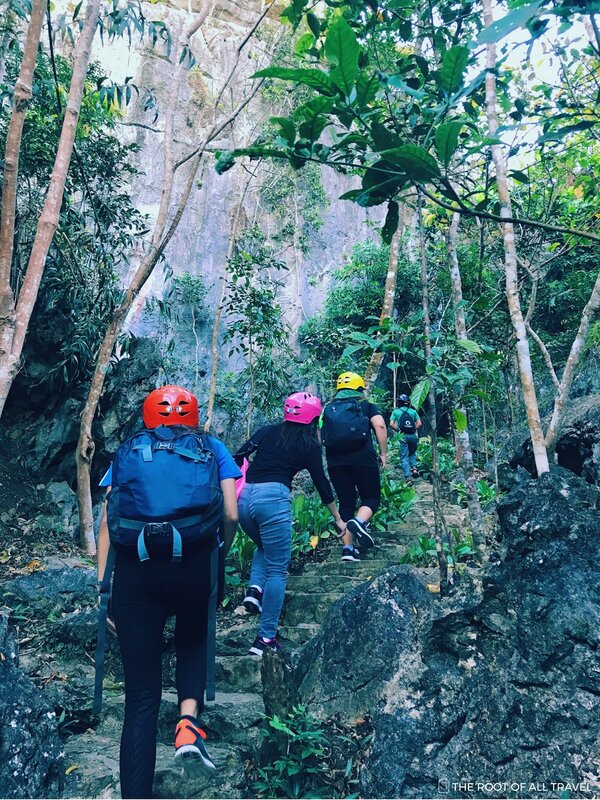 Welcoming hikers and enthusiasts alike since 2015, the Masungi Georeserve takes you inside the rich forestry of Rizal lined with countless of massive limestone formations and filled with plant species that you may not have seen before. I recommend starting the hike early in the morning. Not only that you have better lighting conditions for your photos but also for a cooler, or rather chiller, atmosphere. We were told that you can book a tour that starts as early as 5:30 in the morning. I, honestly, was prepared to be soaked in sweat just after an hour into the hike but the cool and fresh air in the morning made everything more leisurely. Plus, for the most part, the trek was under the shade of tall trees. Upon reaching the iconic Sapot ni Ric, you will be rewarded with the view of the Laguna de Bay, while the scenic view of the Sierra Madre mountain range is best viewed atop Nanay or Tatay. Starting from the Silungan or the holding area, a cellular signal is hardly available. This is truly a perfect opportunity to detach and have a much-needed internet detox. While the pathways are well-defined with concrete blocks, the course will definitely make you stretch your limbs. The narrow alleys between rocks will force you to duck and squeeze yourself in. 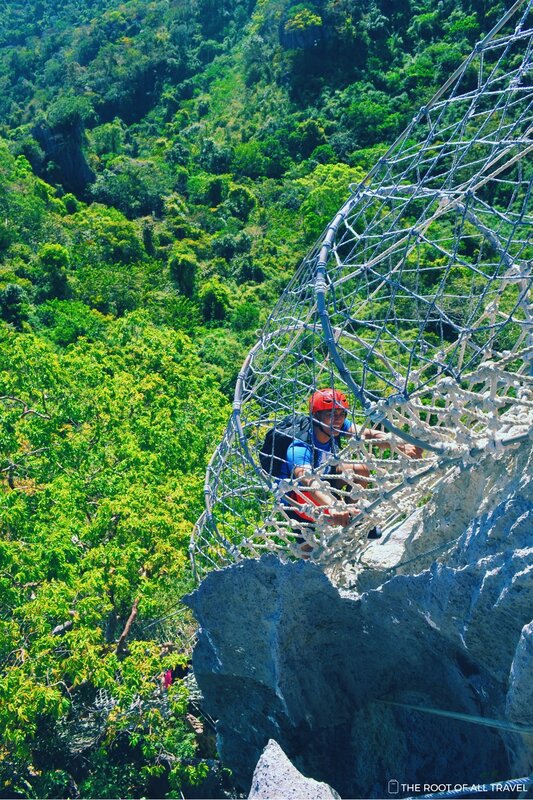 Your arms and legs will be put to the test as you go up the rope courses or climb down the Bayawak. And just when you thought the trail could not get more interesting, traversing across the Sawa or the Duyan will not only need your physical strength but probably your mental focus, too. In terms of safety, there’s nothing to worry about as everyone is required to wear a helmet and the ropes and cables are very sturdy. For those who may have the fear of heights, or for any other reason cannot perform the tasks, a detour path is available but the trek could take longer. Whether with family, friends or just with your significant other, the 3-4-hour trek will easily be time well-spent. Surely, there’ll be chitchats about how hard it was to cross the hanging bridges or who got – or did not get – the most Instagram-worthy photo. While there’ll be teasing of who was afraid the most while crossing the Duyan, there will also be the encouraging words “Kaya mo yan” (“You can do it”) to cheer on a mate to strike a pose at the edge of a cliff. Well, priorities. I especially liked how the tours are private and scheduled. Your group will have a dedicated park ranger. Plus, there’s no need to make small talk with strangers when you don’t feel to. For those groups who cannot reach the minimum headcount requirement of 7 and don’t mind taking the trek with other people, special shared trails are also available. Check their Facebook page for schedules. When you think of Masungi, you’ll probably imagine the Sapot which they're most notable for. But from the inside of the Patak to the peak of the rocks, there’s no short of spots to take a picture at. Even the resting areas are unassuming photo shoot backdrops waiting to be noticed. You may have your Instagram feed covered for possibly a week. I recommend that you think of photo pegs even before you arrive at Masungi, though, as the time for picture taking at each stop may be limited. One group departs from the holding area every thirty minutes, so taking too long at one highlight for picture taking may have a ripple effect. The hiking guides at Masungi are very knowledgeable about the conservation area. There’ll be parts of the trek wherein you’ll be asked to take a pause as they show you the lookout point for the signature Masungi rock atop the mountain or to give you a brief story about Yungib ni Ruben. Mind you, they are excellent photographers, too, as they are well aware of the perfect backdrops for your next profile photo. Unlike any other mountain hiking, there’s so much to Masungi than just walking and reaching the summit. I very much appreciate how the trail is not too taxing yet still gives an ample amount of challenge to keep it interesting. Aside from the well-maintained courses and the well-defined pathways, you will be rewarded with a filling snack, refreshing drinks and that amazing frozen cold towel at the (almost) end of the trail. It is a perfect mix of adventure, leisure, or even a retreat, if you may. And the upcoming summer is just the perfect time to gather your friends, pack your bags and experience for yourself why Masungi Georeserve is not your ordinary day hike. Conservation fee is PHP1,500 (approximately USD 29) per guest on weekdays and P1,800 (approximately USD35) per guest on weekends. No walk-ins allowed. Book your schedule and pay 50% down payment at least three days in advance. Request for a visit at their website here. 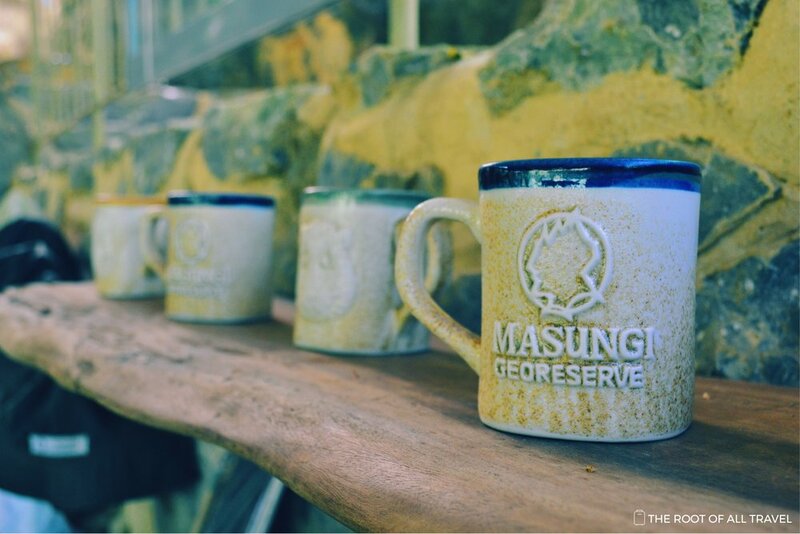 Been to Masungi Georeserve? Or still planning to go? Share your thoughts at the comment section below!